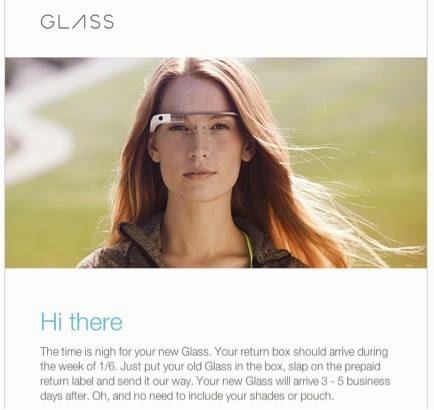 Gilmore Social Media : Why Can't Google Fix #GoogleGlass? Why Can't Google Fix #GoogleGlass? Yes, I coughed up $1,500 to be a Google beta guinea pig for Google Glass. I was very excited at the privilege of doing so, after all, one even had to be invited to join the Google Glass Explorer Program and the invitation came with the opportunity to test a really cool, disruptive tech product months before the rest of the world. I'll cut to the chase: it's a very expensive, goofy-looking camera. Oh, the video works all the time, too, but, I really don't fancy the notion of taking a video as I am walking...just about anywhere. Saturday Night Live had a news skit where a guest was showing how cool Glass is: the only problem, nothing worked. Well, when I muster the "let's-try-it-again" spirit and don my Google Glass in public, scores of people (truly) will stop me to say, "Whoa, 'Google Glass' - how cool are they?!"' I always want to say, "Really cool!!!" I can't. They're not even close to cool. Why Can't Google Fix Google Glass? I went through wearing version one of Glass and then got version two, with a build up from Glass that made me think that what I was going to get in version two was everything I had hoped would be in version one. Not. "The time is nigh for your new Glass," the message I received from Google intoned when it informed me that I would be getting a box to exchange my version one of Google Glass for the updated version. The difference in the two? I did get an ear bud with my updated version of Glass, but, beyond that, I can't point to anything with version two that made me say "wow" or "finally" or "thank you!" Even the earbud didn't seem to really improve the phone's sound. This week I received another (I have received several in the past) survey request from Glass. Though I dutifully completed the previous surveys, this time, I am not going to bother to even fill it out, because I hate having to repeat myself. This speaks volumes about the state of my relationship with Google Glass. What Don't I Like About "Google Glass"? "What's the weather going to be like tomorrow?" It tells me. Cool. "What's the weather going to be like tomorrow?" It ignores me. Not cool. Wink app. Cool. I'm on a trolley in SanFrancisco. No cameras or smartphones allowed to be used while on the outside seats to take pictures. I've got the wink app. I wink. It takes a picture...But, then it takes a bunch pictures - and I'm not winking! Real-time translation of text? It's there as an app, but, I'll be darned if I can get it to work sitting down patiently at my desk, in slow motion - don't think I'll be trying it in a foreign county. Play music. When it works, you just ask it for music by...and it plays. When it plays, the sound, even with the ear bud, isn't very good...But, too often, the only thing it wants to let me do is take pictures or record a video. Google Glass is not a smart phone that you can discreetly, comfortably fit in a pocket, which means that you have to pay close attention to the weather, as an unexpected rainy day means you're stuck with you Glass tucked in your shirt. You get the idea. I could go on, but, for what purpose if Google isn't making progress on the basics. To borrow a phrase from Google, "the time is nigh." P.S. Google, if it's just too big a task, mind handing it over to Apple! #myNYPD – More Than a "Twitter Fail"